How to Get a Job in Comics Industry in Japan? How to become "Mangaka" in Japan? How to Get a Job in Comics Industry in Japan? How to become Mangaka in Japan? Do you love anime or manga? We dream of getting a job in such industry at least one time. Did you read our article on " How to get a job in Anime industry in Japan? " ? Since we published the article, many of our readers asked us to also feature how to get a job in comics/manga industry in Japan. Sometimes Onegai Kaeru team were asked by people living outside of Japan this question "how to get a job in manga/comic industry in Japan? ", "What is the common way to become a comic artist in Japan?". If born in Japan full of comics, many think at least once about becoming a manga artist or mang-ka ("漫画家"). One of our team members also had that dream till he was in high school. Although it is a big and bright world to our eyes (almost everyone on this planet knows comics, right? ), it is not well known how exactly to get a career in that industry. Well, it is not a easy industry to get into esp. for foreigners due to the work permit and it is also very tough industry to survive. With this article, we explain how to find and get a job in comic industry in Japan, the big list of Japanese comic book publishers and the famous foreign comic artists in Japan. Do not miss it! What is the common way to become a comics artist in Japan? Let us look at many artists here. Publishers (most of them in the publisher list below) in Japan give award from time to time to those who want to be a comics artist. For example, Akira Toriyama, the creator of Dragon Ball, got the first job as an illustrator at an ad agency. After he quit the job, in a cafe, penniless, he saw an ad for the new comer award of Weekly Magazine by Kodansha which would give 0.5mil JPY for the top winner. He started drawing manga for it but could not finish on time. He instead applied to get the new comer award of Weekly Jump by Shueisha. He did not win but one editor Mr. Torishima saw something special with Toriyama's work and Akira started working under the editor. The rest is the history. Naoko Takeuchi, the creator of Sailor Moon, also got into the comics world after having won an award at Nakayoshi Shinjin (new comer award) Manga shou by Kodansha. Big awards are given only 1 - 2 times a year, which prize is something like 1mil-2mil JPY for the top winner. You can google with "漫画新人賞" , "まんが　新人賞" and you will find many of them. Do you need to go to a Manga school? There are comics/illustrator schools in Japan. Do you need to go there to get a job in comics industry? Not necessarily. The school teaches you the basic skill how to create manga. If you feel you lack the basic drawing skill/story making skill, you can go there to get lessons. Some schools have connections with publishers etc. This way, it may be possible to get introduced to do some internship while in school. Selling and promoting yourself at Dojinshi fair? 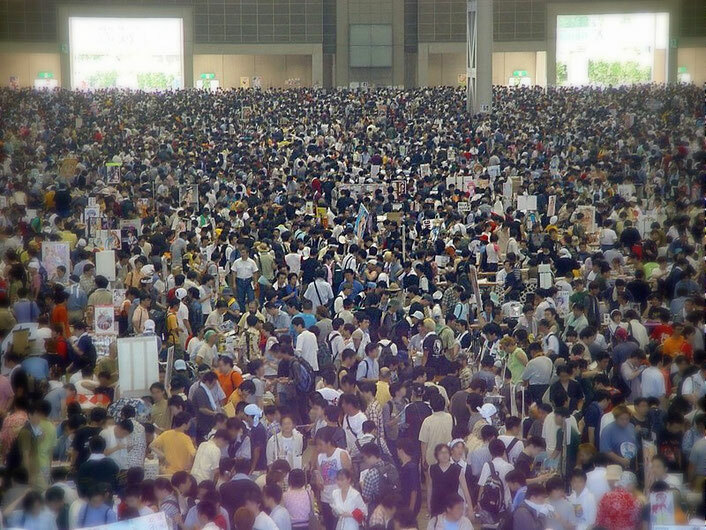 There are many dojinshi - self published work - fairs in Japan such as Comiket in Tokyo. You can attend one of these as a seller and try the surface of the water. At some big conventions, the major publishers also attend. You can try your luck! How to be assistant for comics artist? 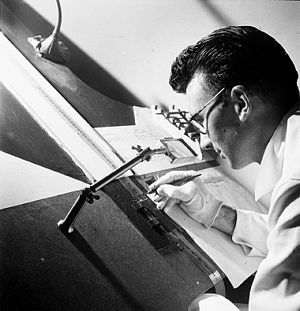 Many famous comics artists started their careers as assistant to the other famous comics artists. Eiichiro Oda, the creator of One Piece, started drawing manga at the 2nd year of Jr. high school. He wanted to create "pirate" comics after he saw "Vickie Viking". In high school he won Tezuka award and Hop Step award (a monthly award by Weekly Jump). After he dropped out a univ, you got an assistant job under Shinobu Kaitani, Masaya Tokuhiro, Nobuhiro Watsuki. 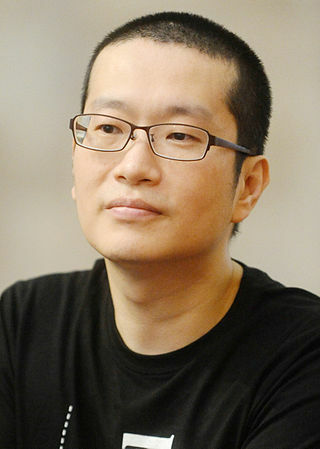 During his assistant work, he created "Romance Dawn" which became the basis of "One Piece" series in Weekly Jump. There are two ways to get introduced to an assistant job to some famous comic artists. 1) Introduction by a publisher. Once you win some award of a publisher, the publisher can introduce an assistant job to one of their comics artists. Square Enix has their website section to introduce the assistant jobs for the artists who create under their brand. 1) CV and 2) some example of your drawing such as a person, background, building etc. As an assistant, the normal pay is 5000JPY (45USD) to 15000JPY (135USD) per day. The pay depends on your skill, If you can draw background (buildings), if you can draw animals (for example, in Samurai manga, you need to draw many horses), if you can draw humans, if you can use some digital software. Not easy job, You work long hours and the comics artist you have had respected can not always be a nice person to work with. You may have not much private time to create your own works. But if you can work with a famous/best selling comics artist, this shall be one special experience and if you can excel in the job, the artist may introduce you to a publisher. It is a group consisting of Shueisha and Shogakukan . The biggest publisher group in Japan. The central company of this group is Kodansha known for a weekly Shonen MAGAZIN. Its official name is Kadokawa Dwango. It is the holding company which owns Square Enix and Taito. If you try a "traditional way" such as working with a publisher, getting an assistant job with Japanese comics artist, you must be good at Japanese. The work language shall be Japanese only where you need to give and get the detailed instructions on the work. How much Comics artist can earn? What is the salary of comics artist in Japan? Quite hard to say. If you are an assistant to one comics artist, your initial salary may be around more or less 10,000USD per year and if you are the chief assistant of a major comics artist, your salary may be around more or less 100,000 USD per year but you work so hard and your skill is so good. If you publish your comics with a publisher, the publisher and you agree on the pay per page which can be several 10 USD per page to several 100USD per page depending on how popular/important your comics is. If your comics became animation on TV or with movie, you will also earn the copy right fee. It is commonly said the average salary of professional comics artist in Japan is somewhere around 40,000USD per year. Be ware, the readership is everything in the world. It is so common that if your comics is not popular, the contract shall be cut suddenly and from that moment, your salary is 0 (ZERO). NOTE: these are just some assumption. There are many small publishers which can not even pay some 10USD per page. So who from overseas made it in Japan as a comic artist? Here are some examples. Although looking successful and bright, life as a comic artist is competitive, tough and busy. Please do not try to contact them unless they welcome your contact. Instead, you can buy their comics to support their path. She is more a light novelist and illustrator. As we have the power of internet, wherever you are, you can create your own manga and publish it online. It is not like the old time where you had to make paper base comics. If you think you have the enough skill, simply start today to publish it online to the world. For example, "the Chinese wife diary (中国嫁日記) " became popular from its blog. You love drawing. Then, there are also more other type of jobs than becoming a comics artist, how about a light novelist which requires the skill of story telling and illustration but you do not need to draw as much per work, how about that you try to be an illustrator for ad where you usually need the software skill (adobe illustrator etc.). Like the animation industry How to get a job in Anime industry in Japan? , comics industry is not an easy world to get into and survive. There are million of wanna-bes. But if you have a strong commitment, a high hope and dream to get the manga job, go for it! Many asked us if a foreigner has a chance to be in the cartoon industry, the answer is that you have a chance as long as "you are good". 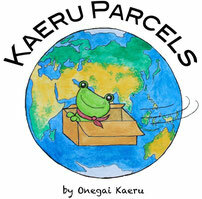 If you have a great work, we can be your Onegai Kaeru (OK) agent as your business partner to push your work to the world with professional translation, coordination with the industry. Do you know a better way to find a Job in comics industry in Japan? You can share and communicate with the readers on the comment sections below. We help you with your search of the job in Japan. Want to work as an illustrator in Japan? Looking for a chance in Japan anime? Check our Support service!